New Zealand Lanolin Wood Gifts Willow Tree Figurines. All of our NZ Gifts within these pages can be purchased online and delivered to your door! Sit back, relax, and shop from your armchair. We have been delivering online since 2002 and understand our customers like fast hassle free service. Buy online from us and make your thoughts heard regardless of distance. 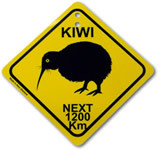 Kiwiana memorabilia to the world! Include a card with a personal message and gift wrapping for that special person. We have a physical store that is open to the public seven days a week. Our physical address is 7 Starlight Arcade, Taupo and our business name is The Gift Box. We specialize in unique ideas and more recently a range of corporate products. we have been trading since May 2002 when we quickly became experts in exporting gift ware around the world and the rules and regulations associated with both Customs and the different international couriers. We send all overseas parcels via NZ Post Air International as it has proven to be very reliable, with delivery between 4 and 10 working days depending on the destination. Insurance is automatically included on all of our orders. Local orders will be delivered by Courier Post and are usually delivered between 1 and 2 days depending on stock and availability. Our large New Zealand Gifts range includes corporate, the world renowned alpine silk lanolin, and the very popular Manuka Honey Skin Care range. Also a range of Unique jewellery that we constantly update and change as current fashions dictate. Our Kauri Clocks are very unique and make amazing NZ gifts. Each clock is different and web site photos are kept up to date reflecting actual clocks available for purchase. We also have T-shirts, 21st birthday keys, coasters and collectable items like porcelain dolls, thimbles, teaspoons etc. The popular baby gifts is an ever changing range. Finally we have a new range to us, the Willow Tree Figurines. These are great for getting that special message across to a loved one. We try to keep range in stock as much as possible all the time. Aotearoa is us, land of the long white cloud.